Don Bosco School - Yo Ghana! 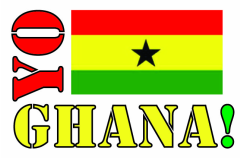 2015 is the first year that Yo Ghana! began working with Don Bosco School, located in Winneba, where we also work with St. Paul Methodist School. Don Bosco a public school and is one of the three Ghana schools we added in 2015. In addition, they are participating in a research project overseen by one of our board members, Eric Ananga, measuring the impact of letters on factors such as perceptions of the U.S.